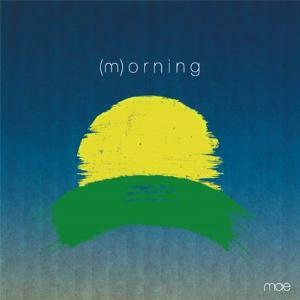 This week I’m reviewing part one of a three part concept EP series by emo rockers Mae titled (m)orning. I’m a sucker for concept albums. Mae even donated all proceeds from this album to charity. Twitter Review: (m)orning is an incredibly well-crafted multi-layered genre mashing EP that should feel like a mess but flows together without any struggle. An eight minute and forty second magnum opus. I think The Fisherman Song is a lush complex masterpiece well deserving of the title. Just by itself, it elevates the album to the level of worth listening to. It even makes excellent use of dynamics. No wall of sound here. Channeling the greats… At time it felt like a Beatles album, sometimes Queen and other times U2… and still pulling it off beautifully. Low Points: I’m really loving this album and routinely bobbed my head while listening to it so it’s hard for me to pick a low point. But I still have to find this album’s valley. I feel like the the ending and beginning tracks would be better suited for waiting to talk to customer support than rounding out the EP. But considering Mae’s previous albums and that this is a concept album, it’s quite possible that this was what they were going for.